You may be wondering why we’d write about diabetes when we are a dental office. It’s a legitimate thing to wonder about. However, it’s important to remember that your dental health is not in isolation from the rest of your health. Much of your dental health is connected to your physical health and vice versa. You can read more about this on our blog about malnutrition and dental health. The month of November is set aside by the American Diabetes Association to raise awareness about the disease. 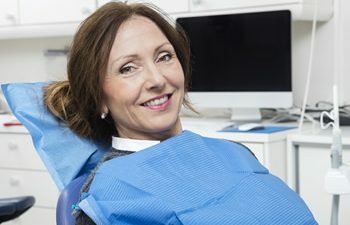 They suggest that there is emerging research that “also suggests the relationship between serious gum disease and diabetes is two-way.” The ADA states that serious gum disease may potential to affect blood glucose control and contribute to the progression of diabetes, and people with diabetes are more susceptible to serious gum disease. An estimated 30.3 million people of all ages – or 9.4% of the U.S population- had diabetes in 2015 among both diagnosed and undiagnosed individuals. The percentage of adults with diabetes increased with age, reaching a high of 25.2% among those aged 65 years or older among both diagnosed and undiagnosed individuals. About 5% of people with diabetes are estimated to have type 1 diabetes. You can read more about the statistics of diabetes here. Due to the “two-way” relationship between diabetes and your dental health, it is important to tell our dental professionals at Mansouri Family Dental Care & Associates if you have it. It is also important to maintain your regular dental cleanings and checkups for optimal dental health. We look forward to seeing you in our office soon!